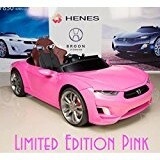 Henes are based in Prospect Heights, Il, U.S,A and manufacture their amazing high-end best kids ride-on cars in a state of the art manufacturing facility in South Korea. 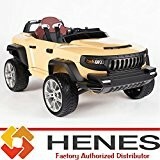 Henes specialize in 4 wheel drive, independent suspension premium vehicles for kids and do not make any other kind of product. 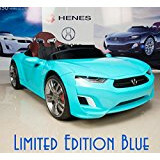 You know that you are buying a specialized kids electric car when you buy a Henes. 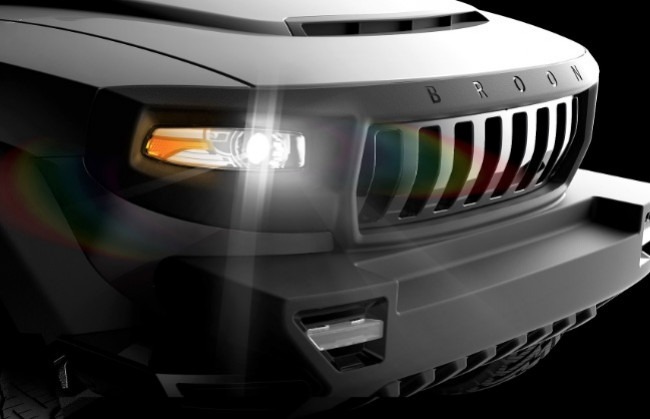 The Broon series is the perfect combination of electronic engineering excellence and pure fun. 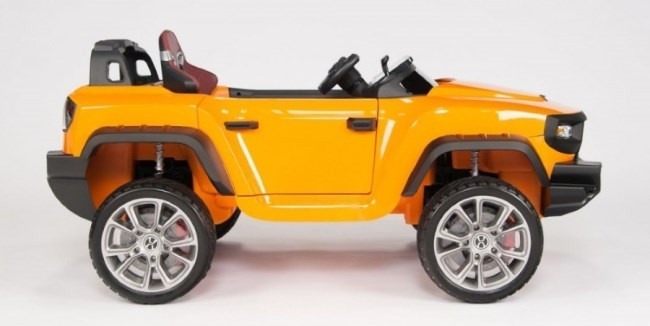 The Broon Series features the World's first Android tablet controlled electric car, genuine 4-wheel drive and the only independent suspension of and kid's ride-on. 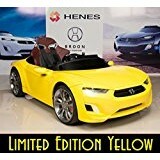 Far above and beyond any other kids electric ride-on, the Henes Broon is the epitome of premium luxury for your child. Even though I'm focussing on the T870 SUV it's also worth mentioning the sports car model, the F830 Sports Car. It is not a 4x4 but it is equally amazing, just not for off-road! 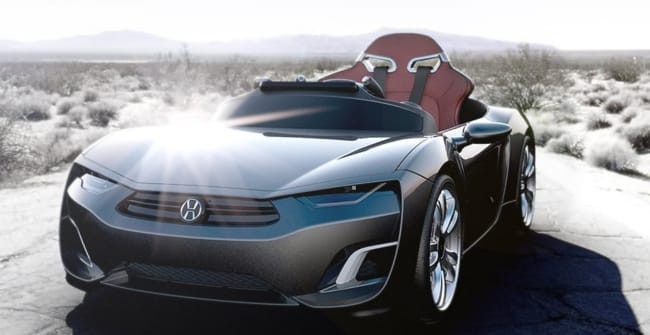 The sports car might actually be your preference, although the 4x4 SUV is impressive many kids relate better to sports cars because they look so good. It is difficult to know what to say about this T870 other than it is awesome. If you are a car geek then you will love all of the attention to detail. It is nothing short of the best kids car around. You probably have not seen one of these beauties driving around the neighborhood. They really put those Power Wheels cars to shame with their stunning looks and precision engineering. Everything that you can see on this Hummer style car works. By this I mean that the turn signals thru to the stop lights, head lights, hood, trunk, door handles all work as they should. A child will really believe that they are driving a real car. In fact, it is a real car in all but size. The synthetic rubber tires give it extra traction and the car has dual-drive motors allowing you to drive it in real 4x4 mode. There are literally so many functions and features on this car that it is hard to list them all without missing anything out. Nice touches are the 7" Android tablet display mounted in the dashboard. The tablet can b used to Navigate the car, or it can simply be used as an entertainment center for your child when they are sitting in the vehicle. The tablet is WiFi enabled so you can download anything from the Google Play store to use on it. Of course, it has stero speakers built into the front of the dashboard so your child can listen to their favorite tunes or stores while they are on the go. One warning: you will want to drive this car yourself, but as an adult you will be too big to fit in it! People will take photo's when you take the car out! Every detail of this ride-on has been thought through properly. The 2.4Ghz remote control can be used to drive the car when within range. Of course, a parent might be concerned that the car could go out of control when it is out of range of the remote. No such issues here. The remote control gently vibrates when the car is about to go out of range. This gives you a chance to catch up with the vehicle to control it with confidence again. If the car does go completely out of range then it will coast gently to a stop. That means no hard stops on hills or other difficult terrain where a toddler might get stuck. As well as a steering wheel, brake pedal and accelerator pedal, the car is started by a push button. There is a key that is used to pop the trunk but you don't need it to start the car. As the battery is stored under the hood in the engine compartment there is not much room for anything else in there, but there is a little storage space in the back. 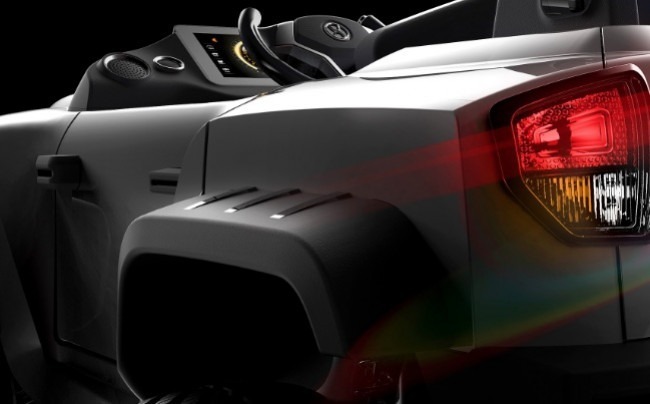 The turn signals come on automatically if you turn left or right in the car which is pretty neat and there are switched fort headlights and side lights. The door handles work like regular cars which most kids will appreciate. There are 3 driving modes which are like what you might find in a contemporary BMW. Comfort, Normal and Dynamic. These driving mode will alter the sensitivity of the brakes, steering and responsiveness of the shock absorbers on each wheel giving a different driving experience for different terrains. The car works really well off-road as well as on smooth asphalt. The manual mode can be over-ridden when the car is in remote mode so that 100% control can be given to the parent using the included remote. The car then becomes the Worlds coolest and largest Remote Control (RC) vehicle. The T870 comes in Red, Cream, Yellow, Black and White. Product size: Length: 55", Width: 31", Height: 24"
Bluetooth 2.4Ghz RC Remote Control - Your Chance To Be A Kid Again! The Henes Broon T870 includes an Android tablet mounted on the dashboard which is hooked into the vehicle electronics. In the case of an electronic or electric fault, the Smart System will highlight the fault through it's self-diagnostic testing. Much like a real luxury car, you can never go wrong with a Henes Broon and any faults are quickly and easily located. The repair can be carried out by the dealership just like a real vehicle. 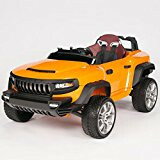 If you really want to spoil your child and get a huge kick out of this toy at the same time then this is the car for you. 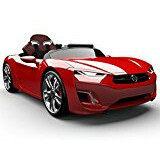 Adults will appreciate the car as much as the kids because it's so well made and put together. Do download and read the Instruction Manual thoroughly so that you knw what you are getting into. there will be a steep learning curve at the start because this is a fully-fledged technical gadget as well as a kids car. There is simply nothing else like the Henes Broon cars, so you cannot compare it with anything else. 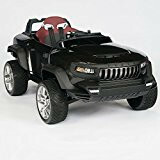 If you want the best kids ride-on car and have a fes $$$ to spend then you can not do any better than this T870 Hummer Style 4x4. As I said, it's awesome! 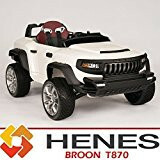 The Henes Broon T870 Is the best of luxury ride-on cars for kids with it's outstanding features. It is a great car, when it works. When it doesn't, the service division sends you parts, then will not respond to your inquiries. I got maybe 2 hours of use before the car just started shutting down and haven't been able to remedy the problem or get someone from the company to return my emails/phone calls for over a year. They are not well positioned to do business in this country. Hi Aaron, thanks for your feedback on the company. Have you tried contacting them via their Facebook or Twitter pages?